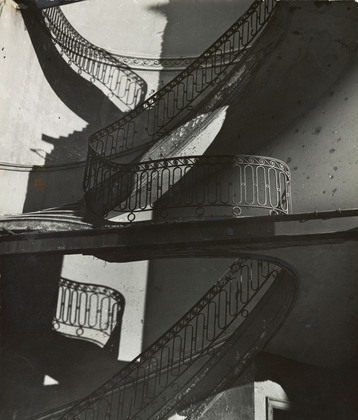 Bill Brandt is often included in group survey shows that address one photographic style or another. Landscapes, nudes,abstracts, etc., his name and work pops up. Now in a beautiful and in depth survey of his work at the Museum of Modern Art, the scope and breadth of his work can be seen. Brandt’s crowning artistic achievement, developed primarily between 1945 and 1961, is a series of nudes that are both personal and universal, sensual and strange, collectively exemplifying the “sense of wonder” that is paramount in his photographs. Brandt’s work is unpredictable not only in the range of his subjects but also in his printing style, which varied widely throughout his career. This exhibition is the first to emphasize the beauty of Brandt’s finest prints, and to trace the arc of their evolution.